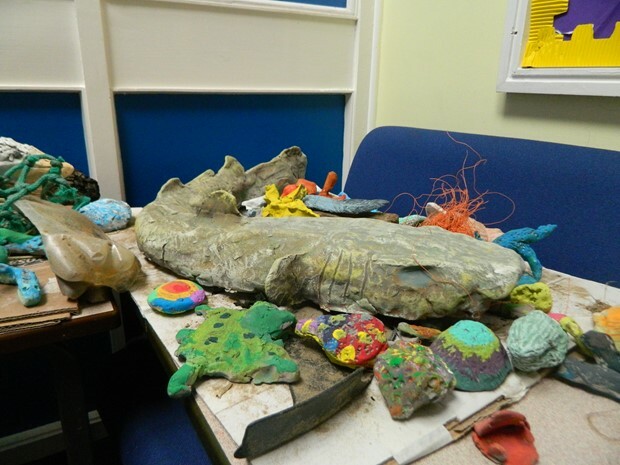 Environmental and recycling project working with three primmary schools in llanelli, Halfway, Bigyn and Stepenheath. 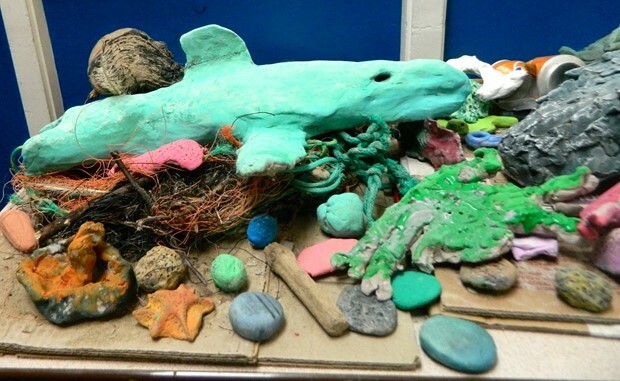 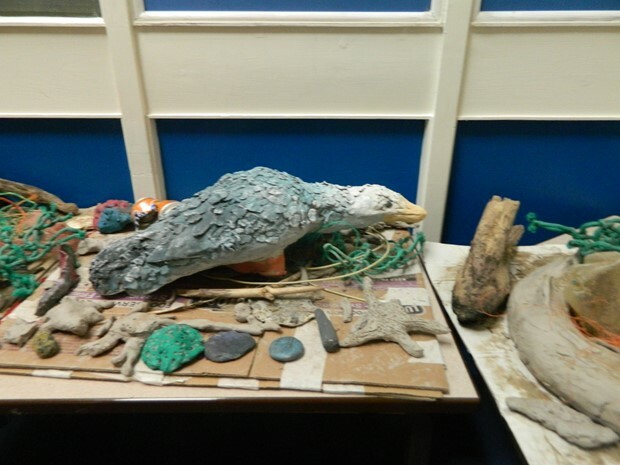 Educating children through the medium of sculpture how littering harms the environment and habitat. 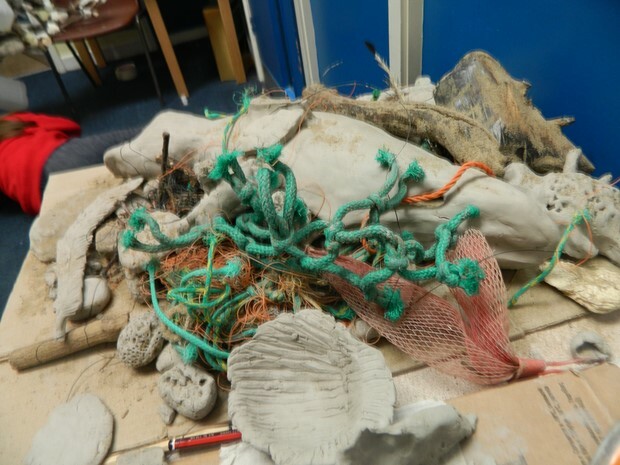 Working with recycles home waist, litter picking from the beach, recycled clay and modroc.